Are You Tired of Having to Take Pain Pills Constantly for Nagging Aches and Pain’s? Dr. Olsen has a reputation for helping people feel great! He uses a unique combination of releasing tight muscles, chiropractic adjusments, physical therapy stretches/exercises, nutrition, laser therapy and more! He is a caring doctor that will always honestly help guide you to where your best path of healing should be. He works with all health care providers to give an integrated approach to patient care. I'm in a networking group with Dr. Olsen that meets every week and I don't think a single meeting has gone by without someone publicly thanking him for helping them or one of their friends or family members. 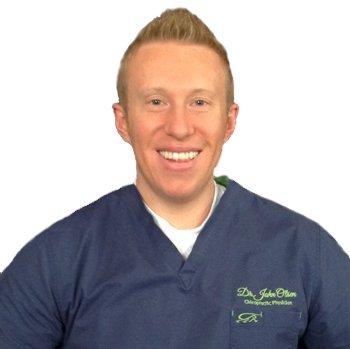 If you are in pain, Dr Olsen is the guy to call!